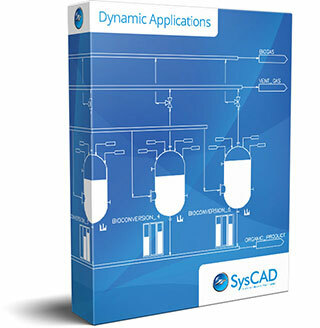 The SysCAD software is available in two operating modes: Steady State and Dynamic Transfer. With various licensing options, SysCAD becomes a tailored solution which meets the needs of the users. The steady state operating mode allows for the design and optimisation of a variety of process plant. Given feed conditions and configuration of all unit operations, this software will calculate a set of steady state conditions, both mass and energy balance. In this operating mode, the SysCAD software will model the dynamic response of a plant, given the current unit operation and control system configuration. The software takes into account time-dependent processes, which allows for accurate analysis and simulation of plant models. License option for specialist users to compile Unit Operation models and/or Species Properties models for inclusion in library of models used in building flowsheets in SysCAD projects. 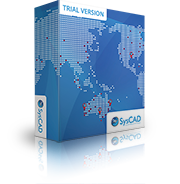 Leverage the full SysCAD simulator functionality with client specific IP and R&D included as client owned add-ons using the SysCAD Model Developers Kit (SMDK). A Steady State or Dynamic model in SysCAD is a powerful tool for a wide range of applications, whether used in design stages or as an operations tool. A model is a useful what if toolkit for design, optimisation, planning, training etc. A model is an excellent repository of plant knowledge including design criteria, configuration, control methods, operation criteria and so on. A stand-alone license is the most common and flexible license type. License is located on USB and is easily shared or taken on the road. 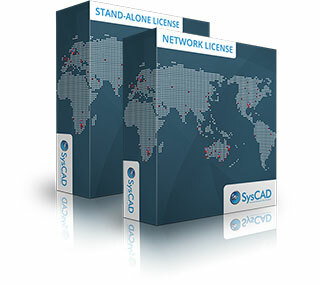 Network license seats can also be purchased to suit the needs of the company, and are particularly useful to complement stand-alone licenses for occasional users located in different locations within a company. A Full license is used by model developers and has all the functionality enabled to build and maintain flowsheet models. A Runtime license is a cost effective license for running different scenarios using an existing SysCAD plant model. Purchase perpetual licenses and optionally renew annual Upgrade and Maintenance agreements. Lease primary or additional licenses on a monthly or annual basis to suit project needs. 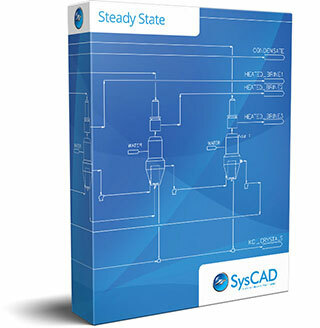 Both Steady State and Dynamic solver modes include a substantial set of standard models. Extra model add-ons are available to provide access to additional models that may be required depending on the process to be simulated. Not all models operate in all of the simulation modes. All the models are described in the online SysCAD documentation.